Williams Partners LP is selling its natural gas pipeline and gathering operation in the Four Corners to Harvest Midstream Co. for $1.125 billion in cash. The sale is expected to be finalized in the next several months. Williams Partners LP will sell its natural gas pipeline and gathering operation in the Four Corners to Harvest Midstream Co. for $1.125 billion in cash and use the proceeds to help finance its move into the Denver-Julesburg Basin in northeast Colorado. The Four Corners assets sold by Williams are in La Plata County and San Juan and Rio Arriba counties in New Mexico. Keith Isbell, a spokesman with Williams Co., which owns 74 percent of Williams Partners, said it is working with Harvest Midstream Co. to transition Williams’ 260 employees in the Four Corners to Harvest Midstream. He said employees in the area are tied to its assets, and he directed questions about any potential layoffs to Harvest Midstream, a subsidiary of Hilcorp Energy Co., which bought ConocoPhillips’ San Juan Basin assets in April 2017. Nicholas Piatek, a spokesman with Hilcorp, said Harvest Midstream and Hilcorp are limiting their comments to those included in a news release on the sale. The sale is expected to be complete within the next few months pending regulatory approvals. Williams’ assets in the Four Corners – referred by the company as FCA, for Four Corners Area – include 3,700 miles of pipeline, two gas processing plants, and one carbon-dioxide treatment facility. In 2017, Williams’ earnings before interest, taxes and amortization in the Four Corners were about $85 million. In 2018, EIBTA earnings were forecast to be about $82 million. Harvest Midstream Co., formerly Harvest Pipeline Co., is a privately held midstream services provider based in Houston that operates crude oil and natural gas gathering, storage, transportation, treatment and terminals across the lower 48 states and Alaska. Alan Armstrong, president and chief executive officer of Williams Co., said: “The Four Corners Area has been an important part of Williams dating back to the acquisition of Northwest Energy in 1983. However, pressure on natural gas pricing from adjacent basins like the Permian demand a new basin model that consolidates and integrates upstream production with midstream operations in a way that optimizes throughout and lowers cost. Harvest Midstream is an affiliate of Hilcorp Energy Co., which in April 2017 joined with Washington, D.C.-based The Carlyle Group, a private equity firm, to buy ConocoPhillips interests in the San Juan Basin for $3 billion. Hilcorp San Juan LP is a partnership between Hilcorp Energy Co. and The Carlyle Group. 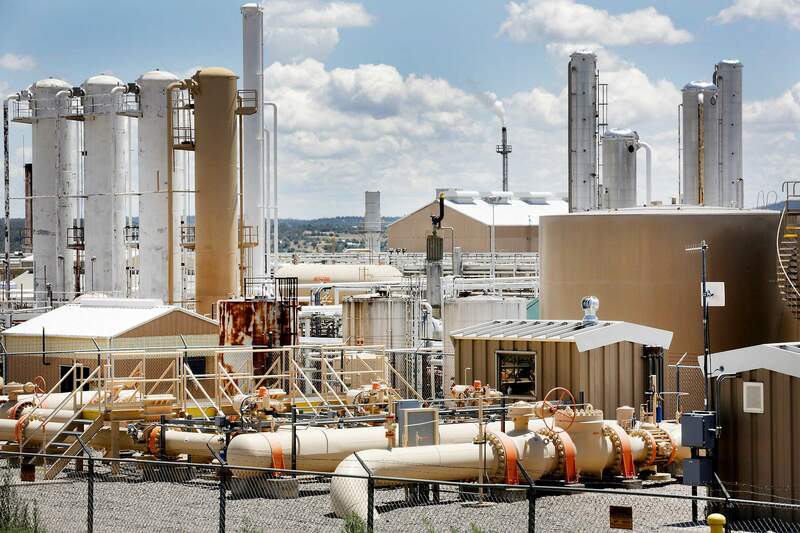 ConocoPhillips had operated about 10,000 wells throughout the San Juan Basin, contributing nearly 75 percent of Colorado’s entire coal-bed methane production. Coal-bed methane production in the San Juan Basin has been on a multiyear slide. According to the Colorado Oil and Gas Conservation Commission, 260 million cubic feet of coal-bed methane was produced in La Plata County in 2015, 235 million in 2016 and 222 million in 2017. Through June this year, 90 million cubic feet of coal-bed methane had been produced in La Plata County. At the same time Williams announced its sale of its Four Corners assets, it announced it was partnering with KKR & Co. in an agreement to buy Discovery DJ Services from TPG Growth, a middle market and growth equity platform, for $1.173 billion. Discovery DJ is a Dallas-based provider of natural gas and oil gathering and natural gas processing services in the southern portion of Colorado’s Denver-Julesburg Basin, northeast of Denver.